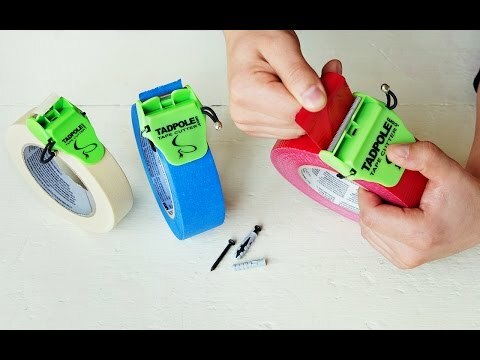 This tape cutter belongs in every toolbox or junk drawer. It takes the frustration out of paint jobs, moving, or any project that requires tape. 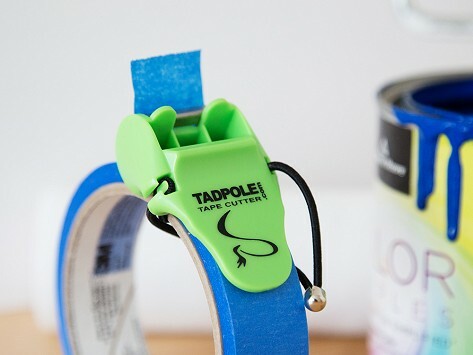 Tadpole fits snugly on the tape roll, neatly slicing off pieces of tape evenly—and easily. Choose the right size depending on the tape you’re using. And when you’re done move tadpole to a new roll. Dimensions: Tape Cutter - 1": 1" x 2" x 1"; Tape Cutter - 1.5": 1.5" x 2" x 1"; Tape Cutter - 2": 2" x 2" x 1"